Pay with your phone, order online, save your dining favorite, earn Patty Perks and receive and redeem special offers! Download the Burger 21 Patty Perks App today and start earning perks towards Ultimate Burger Love! Earn Perks for every $1 Spent. Spend $100, get a $10 Patty Perk! Not Ready to Join the Patty Perks Club? You can still get in on the Burger Love! Sign Up for the B21 Email Club to get info on local happenings at your favorite Burger 21 location and unlock Special Offers! Member of the BLoyal Rewards Club? Download the All New Burger 21 Patty Perks App and All Your BLoyal Progress will be moved over. Win Free Shakes or Fries for a Year! 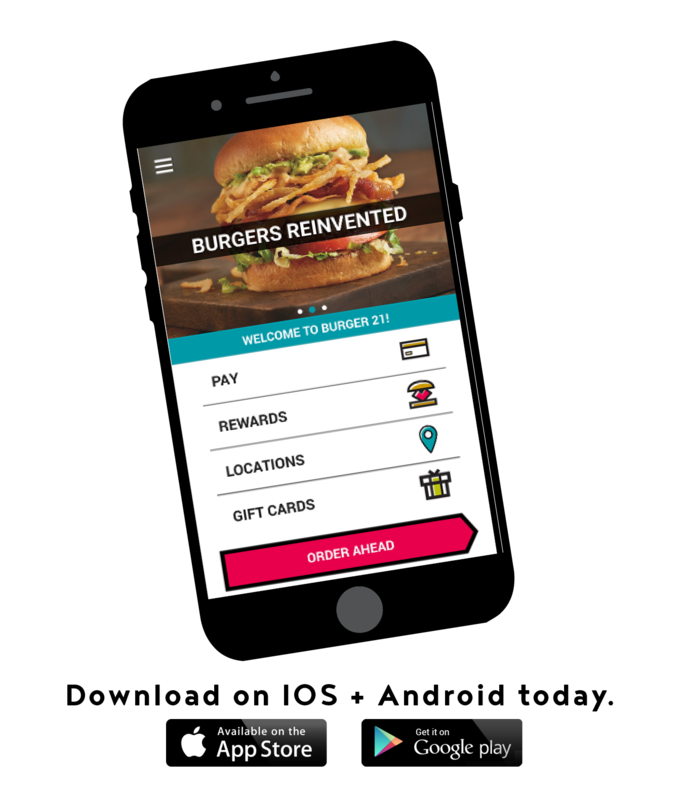 Download or use the Burger 21 Patty Perks App from March 4th – 31st and you are automatically entered to win free Burger 21 shakes or fries for a year!